1. 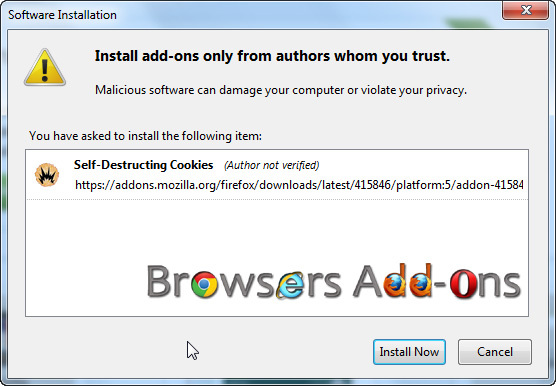 Go to Self-Destructing Cookies Mozilla addon page, or simply click on the above download link and click on “Add to Firefox“. 3. 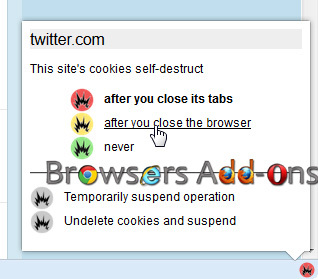 Self-Destructing Cookies installation box pops-up. 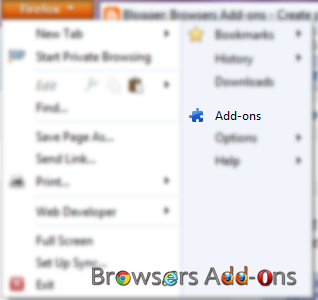 Click “Install” to continue installing addon, “Cancel” to abort installation. 4. On successful installation you will be redirected to first run page. 1. 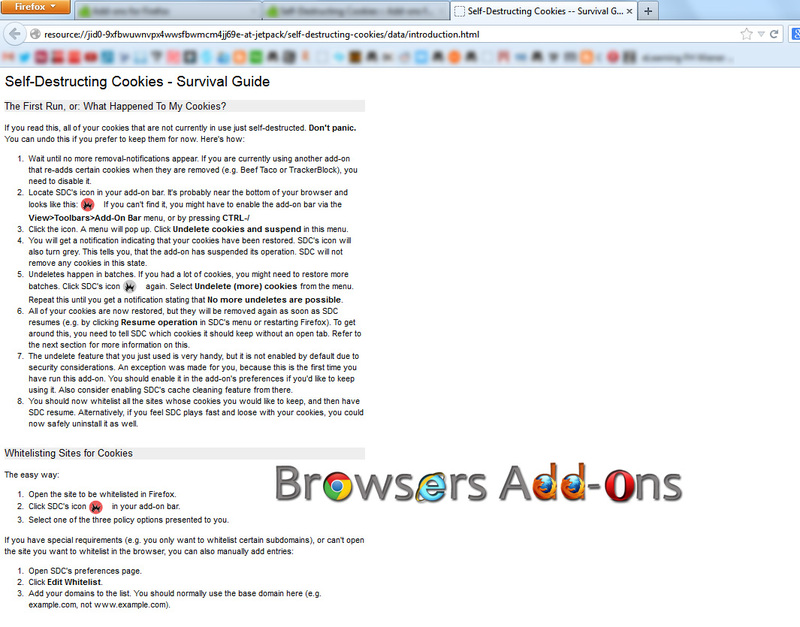 After installation of the addon you will see Self-Destructing Cookies in Addon bar. If you don’t see Addon bar, press “Ctrl” + “/“. You get pop-up notification when ever cookies are removed. You can disable pop-up in SDC preference (option) page. 2. 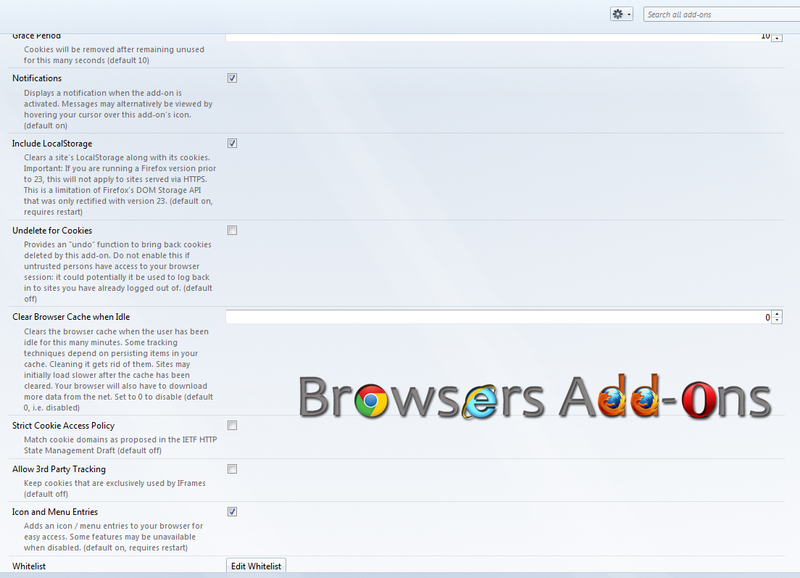 By default SDC removes cookies when you close the browser tab, active webpage. You can change this by clicking on the SDC icon in the addon bar. Note: This change will only apply for the domain (webpage) which you are active or opened. For example, if I wish not to delete cookies from twitter then when I am on twitter page, I click on the SDC icon and change it to “never“. 3. You tweak a lot at SDC options page. To access, go to addons manager “Ctrl+Shift+A” and go through SDC addon. 4. Different SDC color icon represents different preference. 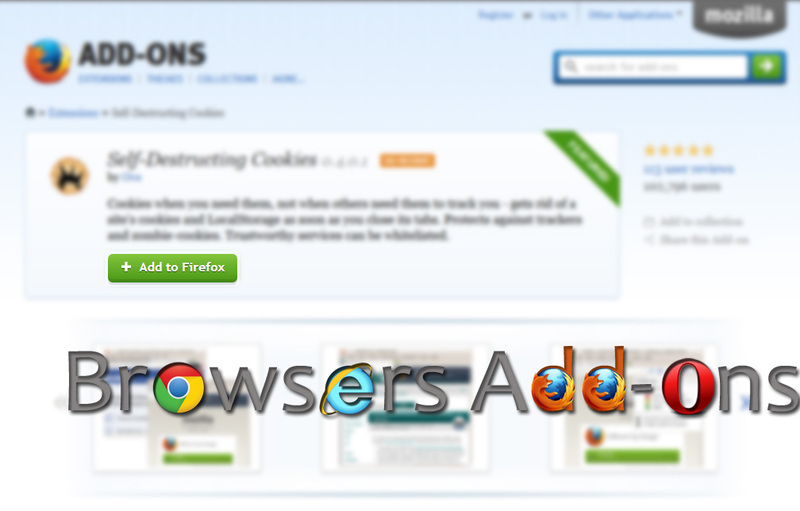 Next story Get free facebook phishing protection with FB Phishing Protector addon for Firefox. Previous story Amazon 1Button, Amazon official add-on for Mozilla Firefox for easy online shopping. Adding Pro Like Features to YouTube with YouTube Options Extension for Google Chrome.